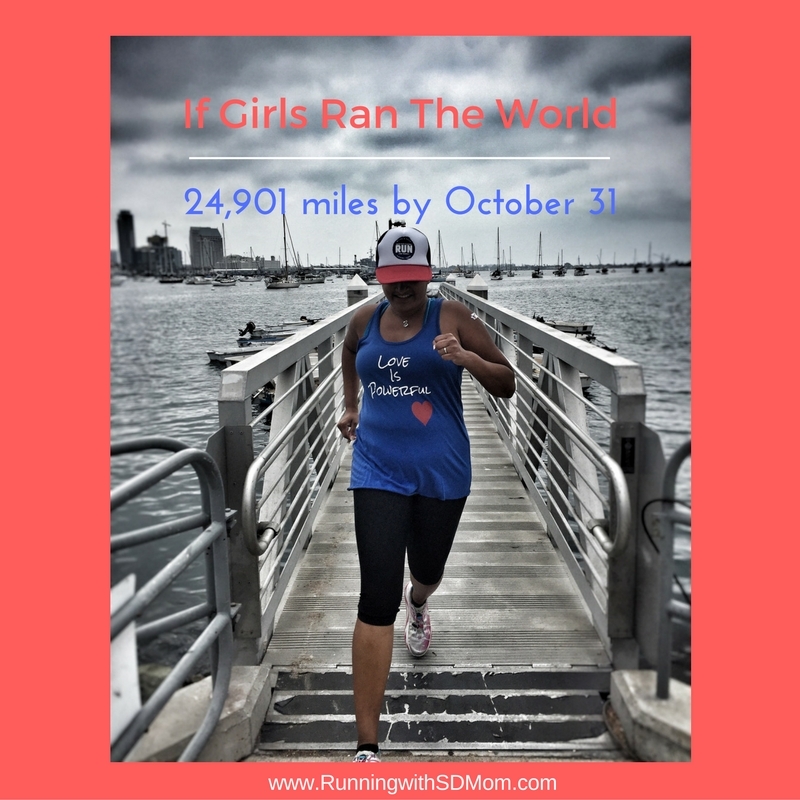 Running with SD Mom: If Girls Ran the World - Progress and Plan! Remember when I told you all about the If Girls Ran the World program? As part of my partnership with FitApproach and SweatPink, I have been given the awesome opportunity to participate in this program. There are hundreds of participants running 1000's of miles to raise money and awareness for many charities including the one most special to my heart - the Epilepsy Foundation of San Diego County. 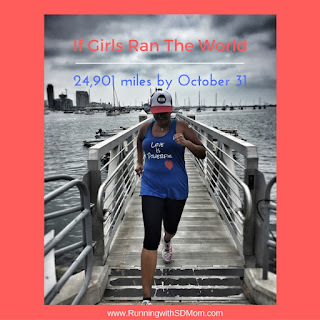 The point of every one of the miles is to empower girls all over the world. Whether it is a girl who needs access to clean water, an education, medication or just to feel that despite a "disability," she is strong and powerful! So how am I going to get my 100 miles in? I plan to run 100 miles in October. I am starting off the month with 18 miles of pacing duties at the Cuyamaca 100K for Jenn & Vanessa. I also have the Rock n Roll LA Half Marathon on October 30. Not too late to register for $15 off with code SDMOM. And then I will be maintaining about 8-10 miles every weekend for my long run! So I should get there. IF my hip cooperates. I am a ways off from my fundraising goal too. So if you find it in your heart to donate a $1 or $100 to the Epilepsy Foundation via this link, I would be forever thankful! Thank you to my very dear friend Kate for her donation! So let's do this together and empower all little girls and women everywhere! Run wherever and whenever and track your miles through Strava or MapMyFitness during the month long virtual challenge to add to our collective progress. Share your story with friends and family to raise funds for the cause that means the most to you. For me, that is the Epilepsy Foundation. I am super excited about this and I hope you will join me by either running and raising funds with me or donating to my cause! Sounds like we've both got some busy Octobers! It is a great cause and I look forward to participating too!